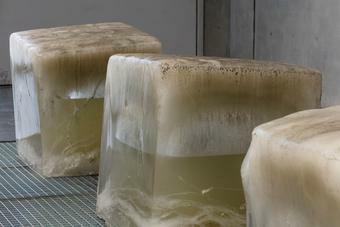 Still river comprises five blocks of frozen ice, each at a different stage of melting. 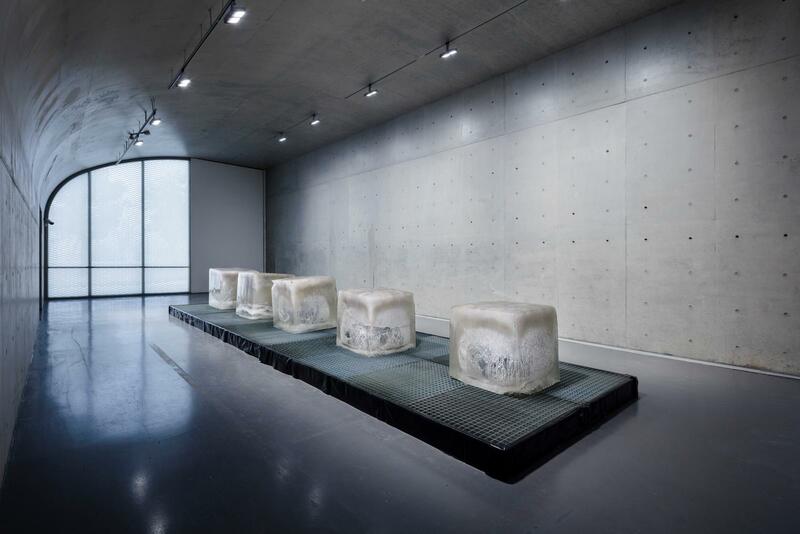 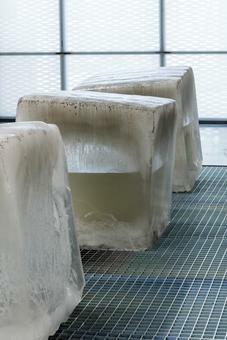 Water from a neighbouring river is frozen into blocks of one cubic metre each; these blocks are then arranged in the gallery in a linear sequence from least melted to most melted. 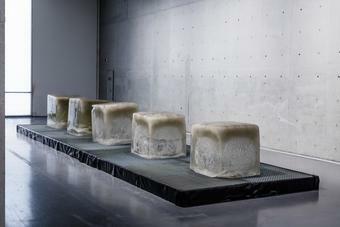 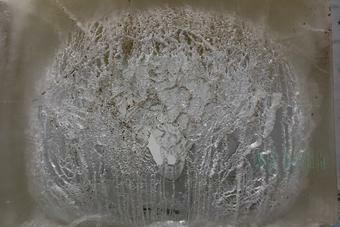 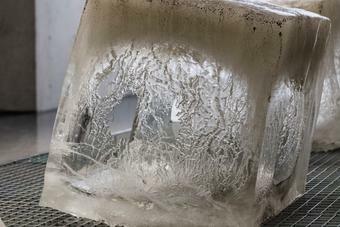 Whenever a block melts away, it is replaced with a fresh block of ice, so that the display is continually changing and the initial sequence becomes disrupted. 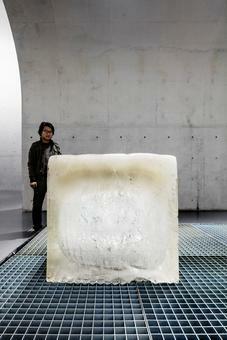 The time it takes for the blocks to melt depends on the temperature and humidity in the museum.